Michael Jackson's body will return to his Neverland Ranch on Thursday morning for a public viewing Friday, CNN has learned. A private memorial service is scheduled for Sunday. Also, a Jackson will, written in 2002, has been found, according to family lawyer Londell McMillan. It was not immediately clear whether Jackson's body would be interred at Neverland. He purchased the Neverland Ranch, north of Santa Barbara, in 1987 and filled it with animals and amusement rides. He lived at the property until soon after his 2005 acquittal on child molestation charges. He later ran into financial problems with Neverland but retained a stake in it at the time of his death June 25. The ranch is named for the fictional world in J.M. Barrie's "Peter Pan," a favorite story of Jackson's. The singer's hometown of Gary, Indiana, is asking the family to have him buried there, according to the mayor's spokeswoman. My ! I would give anything to be @ his Ranch to view his body. This is the perfect place for Micheal's viewing. He poured all of his money, heart and soul into his home. This is a send off fit for a "KING"
Michael had been acquitted on molestation charges. His 1993 accuser Jordan Chandler apparently just confessed that he lied due to pressure from his father to exhort money. Michael was acquitted in 2005 as well due to lack of evidence. This took a toll on his health, horrible jokes were made of him, he went abroad to get away from the stress. He didn't feel comfortable enough to live in the US. Many people around Michael sold unverified stories about him. Most turned out to be untrue. Anything for a buck. Now he's gone. No matter what will be said or done, he is gone. Perhaps there is a lesson in this to stop agrandising celebrities to the point where it results in so much personal damage. Yes, they got their fame and fortune. So did a lot of other people who benefitted from this person, this industry. The so-called "enablers" who blindly provide for the celebrity with no thought to the effects. The star is responsible as well however they tend to have a distorted perspective, with distorted expectations. An early death is a tragic consequence. This upcoming viewing to look upon the dead icon is one of the final rites. Perhaps we should consider the people around us that we know, ask if they may be in any need and extend a supporting hand. That would be a positive outcome of this very sad situation. Peace to Michael. I am a 64 year old mid-western mother of three. I loved Michael Jackson and remember seeing him as a child as my first son was born. I remember smiling and being so happy to see a small boy make such wonderful music. My children are 40, 39 and 32. We all loved Thriller. I would have to pull them from watching it in the sunroom to eat dinner. I am saddened about all of the ugly things that have been said about this great enetertainer. Now, the truth is that I am a big Neil Diamond fan. But Michael Jackson always mesmerized me and I valued his spirit. I feel he was a great addition to our world and I am hoping the world will just remember his talent and loving nature. Yes, he was different. But there is no one ever ever who could dance like he could. Question to ponder, for Michael Jackson to have a cardiologist, would suggest that he had a heart problem to start with, and what prompted his cardiologist to visit him, he must have had a complaint, chest pains, dizziness, etc. Here in America we do not have a royal family. We tend to give entertainers and athletes the type of adoration often reserved for Kings, Queens, Princes and Princesses. The Jackson family should certainly be considered “royalty” by American standards. Michael Jackson may have had his problems, but he was a trail blazer. He broke down boundaries and changed entertainment and music around the world. He also gave a great deal of his time and money to help those less fortunate than himself. Before Angelina and Brad, Bono or George Clooney, Michael Jackson was shinning a light on the need to help the people of Africa. His music not only is included in the soundtrack for the past 40 years, but it reflects his desire to honor our planet, be kind to animals and love all humanity. His modifications to his body are his business and no one else’s. If he did wrong to any child, he will now have to answer to God for it. Neverland Valley Ranch should be turned into a place such as Graceland/Disneyland. There, children could have fun and play and Michael’s legacy can be kept alive by some of the proceeds going to his favorite causes. I think that he would like that. To the Jackson family, be strong and know that some of us, who were not necessarily Michael Jackson fans, still recognize his accomplishments and the impact that he had on the world. We are thankful for every memory that we have of trying to moonwalk or dancing to ABC, Thriller, Billie Jean or any of the many songs that Michael blessed us with. May God be with you all during this difficult time. Michael Jackson is owed an apology. Then everyone that was against him and called him names can mourn him. He is due this by those who did. To the Jackson Family...the world sobs with you. I hope Michael has found peace in death that he was never able to find in life. We will miss him tremendously. Thank you Michael. R.I.P King of pop, he will always be in our hearts. loved but he loves, you best! He was a musical&dance genious, im sure hes teaching god how to dance the way he did! Neverland was Michael's home, the place he loved more than anything in this world. How befitting that his family would allow his fans the opportunity to share that moment with them. God Bless them all through this difficult time. Hello Mr.King,the answer to the question on your program as to 'why they picked this time to have a ceremony at Neverland honouring Michael',is simply because this is the time of his death.He did not die in January or May,he died a few days ago in June,so now is the right time to pay homeage.And,please stop trying to manufacture things that are irrelevant or untrue about "MJ",if you don't have anything positive to say,it's better not to say anything at all.Never speak evil of the dead,have a little respect. May the King of Pop forever live through his music and continue to change the world as he did... May the Great Spirit guide him safely to the other side! Sharpton and Jesse Jackson, being professional Negroes, who have grown rich on invoking "race" into everything from Cheerrios to Valvoline to higher education...still want to claim Michael Jackson as a BLACK man! In Jackson's song, "Black,. or White", he specifically sings: "I don't want to live my being a 'color'!" Bravo, and isn't it a shame that Michael's legacy of self-discipline...excellence...and hard-work, are being co-opted by those who traditionally use "the path of least resistance...and, begging for more and more entitlements...while contributing NOTHING POSITIVE, to the nation, and the world! Michael Jackson, for the benefit for Sharpton and Jackson, belonged to the WORLD...and, he demonstrated virtues and qualities which those who follow Sharpton and Jesse Jackson seldom exhibit. I'm glad they are having his viewing on Friday during the 4th of July weekend. There are a lot people including myself who would love to have the opportunity to pay our respect to a wonderful man. With the holiday falling on Saturday (4th), most companies are close on Friday. I'm trying to see how I can get to Neverland for the viewing since I'm off this Friday and I lived in Northern California (Bay Area). Maybe the Jackson Family was taking this in consideration for the working people like myself. I think the family should try and keep this as low key as possible. This would be difficult given the amount of interest shown so far, but there are things that could be done to mark his death with the dignity the man (any person) deserves, rather than turning it into some kind of show. Rumors such as a 30 car motorcade crossing a 130 miles, or horses and a glass coffin are mortifying to me. I don't envy his family at this time, it's enough to deal with his passing without having to deal with all the other stuff, including appeasing his fans. Then if it were me having to decide, I'd have the body flown to where his burial will be, have a simple service and gather with loved ones afterwards. He may have been a superstar, but more importantly, he was a father, a son, a brother, an uncle, a friend. May he rest in peace. Michael needs to be buried somewhere on the grounds of Neverland so his fans can visit him forever. Just like Elvis is available at Graceland. I will always love Michael Jackson for his spirit, kindness, generosity and outstanding talent. Michael was an angel on Earth that no one can compare to ever. We should all try to imitate his good traits in our own lives. Michael proved that one man CAN change the world. Hi Larry. Why do you keep asking why the family choose the 4th of July holiday to hold the memorial? I'm sure the last thing on his family's mind is celebrating the 4th of July. I'm sure that many fans like myself would be honored to spend the 4th of July weekend paying our respects to Michael Jackson and his family. How long do you suggest that the family wait to have the memorial service and allow his fans to view him since you seem to think that the 4th of July weekend is an inconvenience? Whatever happens, I hope that Michael's last will and testament are upheld, and that his monstrous father remains CUT-OUT of it. He gives these impromptu news-conferences in various public venues...and, can barely enunciateor articulate his thoughts, coherently, all-the-while reassuring everyone that Michael's 3 children will have a wonderful upbringing...and, "...a good education"
Judging from the emotional scars that Michael bore, all the days of his life...having been raised by Joe Jackson...the sorrows, and the less-than-ideal "education" that Joe has in mind, are just beginning! Katherine Jackson, Michael's mother, is 79 years old!! If she couldn't handle Joe 40 years ago, what makes authorities believe that she can keep him, and his exploitative predilections, away from Michael's kids? What is the media going to do now? Who will they ridicule? The stories and horrible jokes by people make me sick. Then there is the people who beleived everything they heard and thought he was weird. Child molestation? Come on how could any one even think this was true? That took a toll on him so bad he had to leave the country. Hope you are all proud of what you did. You all owe an apology to Michael and his family and do it so the world can hear. I have been a fan for 40 years. Fell in love with Michael and never stopped.My deepest sympthy goes out to his children and Katherine, Tito, Jackie, Jermaine, Marlon, Randy, Janet, Rebe,and LaToya. The world has suffered a huge loss that words can not explain. Thank You Michael for all that you were.Love always. Joe Jackson is better suited to sitting on a crate, shooting dice next to a liquor store... guzzling a Colt 45, and, "talking trash"...rather than trying to fool the world into believing that he is an appropriately dignified, and catring spokesman, for his family. Old Joe is a broken-down "pimp" of sorts...with the same foul instincts...and, the same absence-of-a-soul. He sizes-up everything that crosses his path as "bucks-on-the-hoof"...Money to be leached from peoples' "hides", for HIS aggrandizement and profit...for HIS glory! He would have made a fabulous Nazi overseeing the death-camps...selling the gold out of prisoner's teeth...shaving their heads, and selling the hair, by-the-pound...and, committing beatings upon his captives, not for "discipline's sake"...but, because he LOVED to do it! Please request the entire media to lay-off the children. TMZ is pusing to determine who are the actual parents. ETOnline decides to put one of the children’s birth certificate on the internet. Please request the Jackson family or some judge to tell the media to lay off the children. They did not want what happened and now even they are being victimized by the media at a very terrible moment in their lives. Media should have learned by now of the unfortunate role that they played in Michael’s life. The media should stop there. The children’s personal data should not be plastered on the media and the internet. Let the family and all parties concerned sort these things out for themselves. Thank you. It's a shame Joe Jackson Has to stick in his two cents. Michael didn't think too much of him neither di I.
I'm sorry, sure he loved the ranch but to hold the public viewing there isn't wise. The public showing should be held somewhere with plenty of parking and easier traffic control. Then have the private showing at his beloved home. Out of respect of the community, he should be laid to rest somewhere else. I remember back in 1979 dancing in my girlfriend's garage to all the songs on the "Off the Wall" album, and yep, I still have it. Michael, your dance moves were amazing, and I know that your are now dancing up in heaven with Gene Kelly and Fred Astaire. You were the Mikhail of Pop, and anyone who loves dancing will always be grateful to you for what you brought to the art. I don't think I will ever hear your music without picturing in my mind your dance moves as well. Thankfully, you did both and Rocked! May you rest peacefully in God's loving arms. You will be missed! I have been watching the coverage of the death of Michael Jackson over the past few days, and may I say "here we go again". The press is trying to unplug the brightness of another star, just as they did to Elvis Presley. I feel what Michael and the others may have done in their personal lives is none of our business. I am a big Elvis fan, and I know how it feels when your idol is torn apart on television. It stinks. My thoughts and prayers go out to the family. Michael rest in peace. In a world where there are few shinning stars we were lucky to have one Its a pity he was here for such a short time. My heart goes out to his family.... God bless you Michael may you rest in peace. choose from for representation besides those two jacks-in-thebox. They are self serving.They both go by Rev. yet have no church. now use his death to "increase their noteriety". There is nothing that I can say that has not already been said, but I am truly sadden that being a fan to hear that the person that you so admired for so long is gone. What helps me is when I hear something slow and sad by Michael Jackson, I shake that song out of my head and think think of something upbeat it works. His true fans know how good he was then and followed his every move to see him get better to being awesome. At one of the awards shows he performed in a chair to "Remember the Time" that was the first and the last time that I doubted his talent. Rest in Peace MJJ you will never be forgotten. 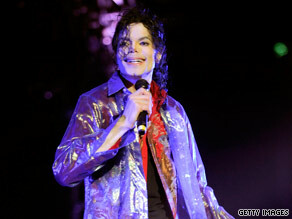 It breaks my hearth to hear that the public seeing of MJ's body is not confirmed. How should we, the fans from outside US plan for it? I want to be there! What do I do? Please give us, the fans from around the world a good reason to go to the US Embassy for a visa and make our traveling plans ahead of time. It's NOT FARE!!! I may be wrong, but it seems that MJ valued & protected his privacy above all else. A "public viewing" is not in order, and is very distasteful, and disrespectful, and his family should not allow it, and anyone that attends should be ashamed of themselves! MJ went through enough in life, and gave all of us more than we ever thought was possible...just let the man be...leave him alone now. I totally agree with Susan. I think Michael Jackson would want his fans to keep first and foremost in their minds images of him singing, dancing and making people cheer. The notion that the world is going to see his remains is just utterly morbid to me and truly lacks respect. Attending such a public viewing as someone who was not a personal friend is not really about "paying respects" it's about satisfying a morbid curiosity. It's just not a dignified approach to this matter and to me this move is not consistent with the way Michael Jackson conducted his private life. Who's idea was this really? Stay home, it's not your business, and not a carnival event...No cotton candy, pay your fare to get into the fair kind of thing.... check your spelling! LEAVE THE MAN IN THE MIRROR ALONE! michael made great music and we wont forget him. MJ was a misunderstood genius. I agree with other posters who had in recent years forgotten his incredible contributions to music and culture. I too am sorry I judged him based on the media. I don't think he would ever harm a child since he was such a child himself and loved his children dearly. I am sorry I just now get that. He saw life as a child, and that's the main reason we as a society judged him. We need to be more like him and try to not lose our innocence and imagination. A light has gone out, and the world is darker for it. Sleep in peace, MJ, and know that you were beautiful and loved. every time the nurse is interviewed she adds more to her story or changes it i dont believe her. forever I will remember Michael Jackson, he's live impact my life. I loved. MAY GOD BE WITH THE FAMILY. I gree with Gloria, everytime the nurse talks she changes her story. Also, she is violating HIPPA regulations and should be held accountable for this!!! so here's some thought larry...if there was dipravan in his system or he was getting it, it is a controlled substance and would need to be accounted for from a locked supply somewhere...it is routinely used in house only for surgeries..
One other thing i forgot to say Do you believe because M J is black that they will not let NEVERLAND BECOME HIS RESTING PLACE? Larry, this nurse woman is clearly an impostor. All she is after is attention and few appearances on CNN. Yesterday on Anderson Cooper she said that Michael's "staff" was the one called her asking for her service and Michael was screaming behind "tell her, tell her". And now on your show she says Michael called me and said" I'm not feeling well". !!! How much intelligence do we need to see the controversy in her story ???? Thank, Michael for all that you were. I will always love Michael for his kindness, generosity, spirit, music, legacy, and talent. He is an angel. Love always. What was that doctor doing in Michael Jackson's room in the first place? Obviously Michael didnt ask him to come in because the doctor stated, in the first place, that Michael was already unconcious and not breathing. The security didnt authorize him to go in because they were all outside. So what was he doing (not being in Michael's inner circle) in the room alone and having private access to Michael. The security surely had a responsibility (common sense) to not let anyone get to michael. How can a nurse disclose what went on between her and Michael Jackson and why aren't the police interested in what she has to say? I find it interesting, that those in Jackson's camp especially his attorney Londell McMillan are so adamant about preserving Michael Jackson's legacy, yet extremely defensive when many of his strange and excentric behaviors are sighted. Michael, like all of us, had both positive and negative charestics and so will his legacy; just like Monroe's and Elvi's addiction. I, rather, they all be accurate when judging or speaking about Michael Jackson. I really have a problem, that supposedly Joe Jackson was so mean. If he wasn't, would they have been so successful? I'm sure he thought he was doing the right thing. He and his wife, brought up a great family of entertainers. Our sympathy goes out to the family. Rest in Peace, Michael. Larry, it's driving us nuts, this habit you have of asking your next question before your guest finishes answering the one you just asked. Often, just when the guest is expounding on a subject, going into an area of great interest, you cut in with the next question, always talking over them. Not only is it rude, it makes it appear that you're not really interested in their answers. Apparently you have a list of questions that need to be asked in the time available and you're going to get them asked. Regardless of where the conversation may otherwise naturally go. Rest In Peace Michael. You will be greatly missed!!!! Not only is the nurse violating HIPPA laws, but it is shame that people don't realize a human being who happened to be a talented, famous performer has passed, and we need to let the family and close friends grieve in private and, by all means, let MJ rest in peace instead of raking him over the coals in public as was done all his life. Celebrate the Legacy and barriers he took down, etc....not the BS! I felt devastated when I heard of Michael Jackson’s tragic and untimely demise. While America has lost one of its greatest entertainers, our world has lost an incredibly sensitive, and intensely compassionate human being. The global response to his passing, followed by the extraordinary memorial service thereafter, are fitting rejoinders to the raucous human vultures who have relentlessly pursued and pecked at this shy and gentle man’s heart and soul. The global community of the world has spoken, and its verdict must be respected. In God’s name, leave poor Michael’s soul to finally rest in peace. Was Michel's doctor on your program drunk, last night? Dr. Klein seemed 3 sheets to the wind? IMPACT YOUR WORLD: "We Are the World"